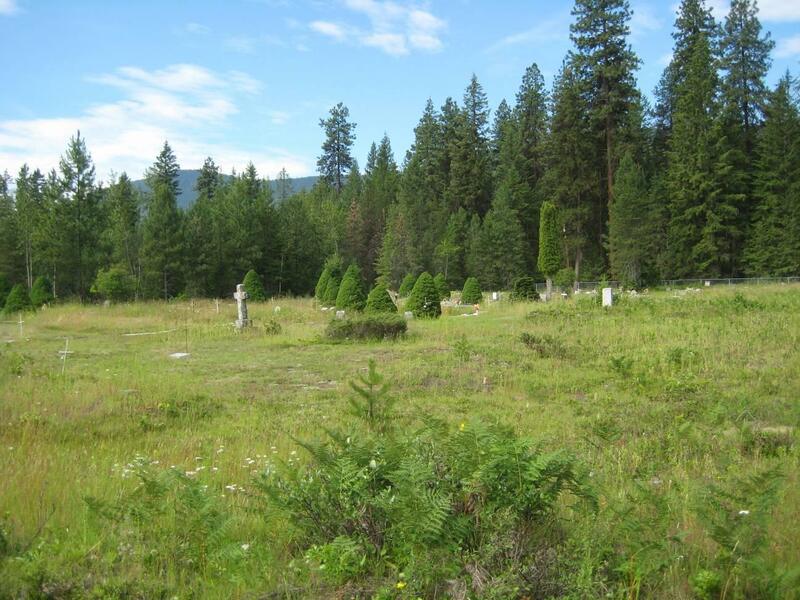 The following is a transcription of the Edgewood Cemetery located in Edgewood, British Columbia, Canada. Latitude: 49o 49' 59.11" N.
Longitude: 118o 8' 46.65" W.
Originally the site of the Edgewood Cemetery (Blk 13, Twp 71) was surveyed for a school; however as no other land was available in Edgewood people began to use this area as a cemetery. By 1915 there were a number of graves situated here and consequently a board of trustees were elected to oversee activities, they included Dr. Kelso, W.J. Banting and W. Williams. In 1921 they were successful in having the land relinquished from the Education Department. 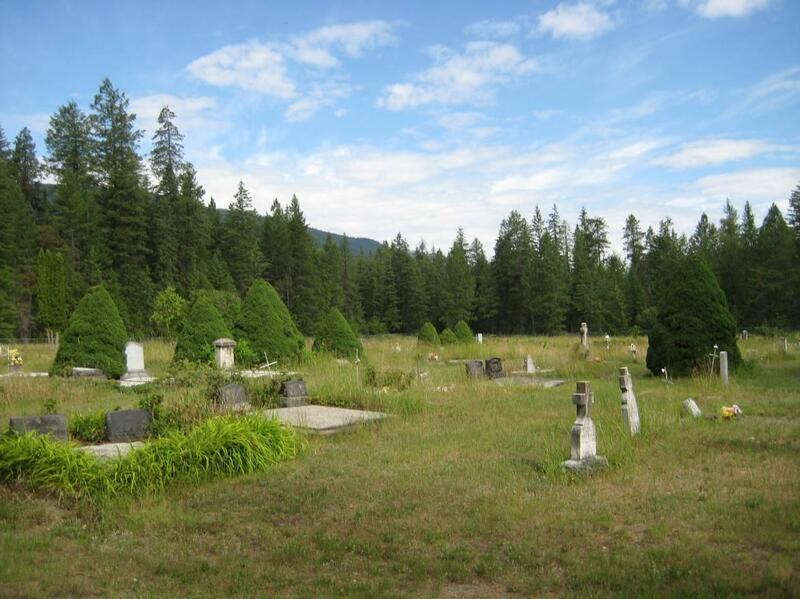 Originally the cemetery was to be known as 'Woodlands' but later was changed to 'Edgewood Cemetery Company'. Among the first burials in the cemetery were Baby Hughes in 1912 and the MacIntosh family who perished in a house fire in 1913. The Edgewood cemetery is surveyed East to West alphabetically (A to P) and south to north numerically i.e. the SE corner of the cemetery near the gate is Lot 1A. There are no signposts, however, the rows are clearly visible as you walk east. The graves are laid out in an east/west direction. The cemetery has seen a number of improvements over the years. 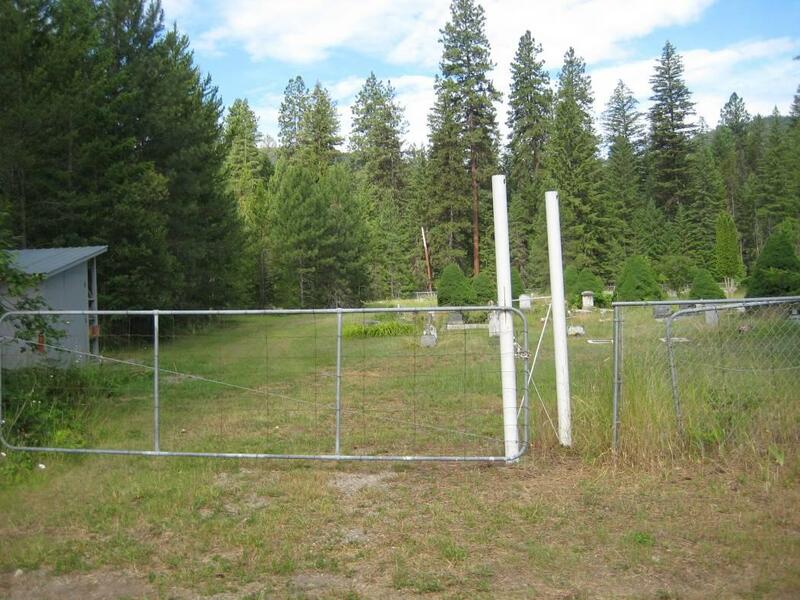 It is now completely fenced by a chain link fence and a number of the decaying markers have been replaced. 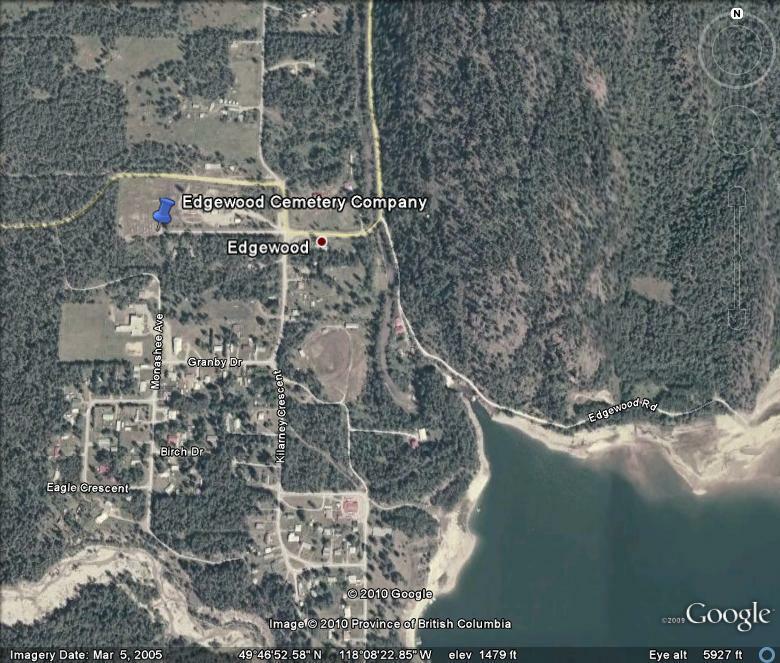 Edgewood is located on the Arrow Lakes about 75 Km. south of Nakusp. The town is on a side road, which turns off to the south from Highway #6 just south of the Needles ferry. As you enter the town, proceed across the bridge and continue without turning along Cemetary Road a short distance to the cemetery.